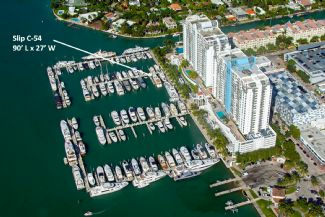 ONLY FOR SALE Up to a 99 foot vessel in beautiful Sunset Harbour Yacht club in Miami Beach, Florida. This is a private Club in Miami beach with Gym, club house and many restaurants close by it also include one parking space. Sale Price: $990,000 Mostly listings charge by "Flat Rate" per month.